New Video tutorial about playing Windows Steam games on your Mac! Download the Steam Wrappers up here… or check the specific Steam game pages where it is told which version to use for that specific game. Feel free to test every game you have into those steam Wrappers and share with me your experiences with your Steam games. If they work in the wrapper, let me know, so I can test it as well and add those games on the list of paulthetall.com, so everyone can enjoy these games as well! Enjoy the video which I made on my birthday (yup I am 32 years young now), and have fun! Men of War: Assault Squad 2 for the Mac! On May 5, 2014 / Mac Strategy Games, Steam Games, Wineskin Wrapper / Comments Off on Men of War: Assault Squad 2 for the Mac! Another very awesome game is brought to you here on Paulthetall.com: Men of War: Assault Squad 2 ! Ever played Man of War? Or even Men of War Assault Squad? Then this one you will really like as well! This game is available on Gamersgate and use the serial to activate it in the Steam Wrapper. I tested that version of the game in the wrapper and that one works for me. A 512mb Video card is really recommended and perhaps even a must have to play this game in good performance and high settings. Check some game-play below and don’t notice the guy talking there which seems to be or stoned or hasn’t slept for a long time…. Enjoy the game! South Park: The Stick of Truth for the Mac! On May 4, 2014 / Mac RPG Games, Steam Games, Wineskin Wrapper / Comments Off on South Park: The Stick of Truth for the Mac! On request South Park: The Stick of Truth! Discover the lost Stick of Truth and earn your place at the side of Stan, Kyle, Cartman, and Kenny as their new friend. Succeed, and you shall be South Park’s savior, cementing your social status in South Park Elementary. Fail, and you will forever be known… as a loser. Simply download the Steam Wrapper build1 from the slider and launch steam and use the serial of South Park: The Stick of Truth to activate in Steam and download & play! From the perilous battlefields of the fourth-grade playground, a young hero will rise, destined to be South Park’s savior. From the creators of South Park, Trey Parker and Matt Stone, comes an epic quest to become… cool. Introducing South Park™: The Stick of Truth™. For a thousand years, the battle has been waged. The sole reason humans and elves are locked in a never-ending war: The Stick of Truth. But the tides of war are soon to change as word of a new kid spreads throughout the land, his coming foretold by the stars. As the moving vans of prophecy drive away, your adventure begins. On March 20, 2014 / Gamersgate Games, Steam Games, Wrapper updates / Comments Off on New Steam Wrapper! After receiving an email about some sound issues for some users with some games, I updated the Steam Wrapper with a fix for that. Besides that I changed all Steam game pages with an option for downloading the Steam Wrapper including the info which Steam Wrapper to use. The updated Wrappers are: Steambuild1, SteambuildGLSL and Steambuildx11. So if you experienced sound issues or crashes on startup while the game page mentioned that Steambuild1 should work, then try the new Steam Wrappers. Enjoy! Remember that Crossover may have also 1-click installers (crossties) for the specific games of your choice. – Fixed sound (or crashes) which may have appeared for some games. On March 17, 2014 / Gamersgate Games, Mac Strategy Games, Steam Games, Wineskin Wrapper / Comments Off on Tryst for the Mac! Today we have Tryst for you! Tryst is a competitive Real Time Strategy Game that aims to provide a unique, fast paced spin to the established strategy model that combines player choice with unit customization. If you don’t own the game yet, I strongly advise you to buy Tryst on Gamersgate and use the serial to activate in Steam. When using the Steam Wrapper download the Steambuild1 version and extract the Wrapper with an un-archive program like the free KEKA. Then launch Steam and download the game into Steam and play! For Crossover users, simply download the CrossTie and let Crossover do the rest. Check the game play trailer below. On March 13, 2014 / Steam Games, Wineskin Wrapper, Wrapper updates / Comments Off on Updated Steam Wrappers (already)! Well, the Engines weren’t even a few hours online and there are already new ones! There were some issues with them, so I had to fix them. Besides that a new new is added: Steambuild1b! This one is added because steambuild1 has (Now with the latest version) a speed/graphic tweak in it which may increase performance massively and fixes some graphical glitches in some games for some video cards like for example in “Ducktales Remastered“. With a normal wrapper this game is unplayable on Nvidia cards, but with the latest Steambuild1, this one works fine. However, with good things comes bad things! This tweak may cause speed and graphical glitches which aren’t on a “non-speed tweaked wrapper”, so when you experience that, move to Steambuild1b. These Steambuild Wrappers might also work with other games not mentioned on this website. If that is the case, please let me know using the contact form. This info is highly appreciated, so I can add the game to the paulthetall.com catalog and other people may benefit of this info as well. Because of the file size the Wrappers are 7ziped, use an un-archiver like the free KEKA to extract the 7zip files. The specific steam games pages will receive/be updated with info and links to the specific Steam Wrappers coming days. Enjoy!!! New Steam Wrappers and Instructions! On March 12, 2014 / Steam Games, Wineskin Wrapper / Comments Off on New Steam Wrappers and Instructions! Great news!! As already mentioned earlier I created a few Steam Wrappers which can be used for all the games mentioned on this website and more! This to compensate the people who cannot effort Crossover and still want to play their Steam games. I made a document with the list of Steam games on my website and about which Steambuild Wrapper to use in what occasion/for what game. After a lot fiddling and tweaking and trying to make sure to make the Wrapper as compatible as possible without breaking things, I came up with 4 different Steam Wrappers. All 4 have their own strength and weaknesses. – Steambuild1: This Steam Wrapper is the first one you need to use for all the games. – Steambuild4x11: Try this one if you hear the sound of the game but can’t see anything or when Steambuild1 simply doesn’t work for you. Worms Mayhem for the Mac! On December 3, 2013 / Amazon games, Mac Platform Games, Steam Games / Comments Off on Worms Mayhem for the Mac! I didn’t told you guys this was Worms week right :P? Well, here is another one: Worms Ultimate Mayhem ! It runs great as far I could see, when I played a couple of battles. I tested the Steam version of Worms Ultimate Mayhem only which can be purchased on Amazon (tested that version). After purchase, use the steamkey you get to activate in the windows Steam in the wrapper. Then its a matter of letting steam downloading the game and then play! Have fun! Worms: Ultimate Mayhem is the definitive 3D Worms game! Load your weapons and experience a whole new dimension in destructive turn-based cartoon action! Taking the game into 3D creates all-new strategic and gameplay possibilities. With over 70 single-player missions and challenges, online and local multi-player for up to 4 players, 5 multi-player modes, Steam Achievements, unprecedented customization of both worms and weapons, and fully destructible environments, it’s bursting with anarchic mayhem. Battle and puzzle your way through all of the missions from both Worms 3D and Worms 4: Mayhem – it’s essentially two games in one. With the addition of HD visuals, gameplay enhancements and new extra content, it is the ultimate 3D Worms collection! Worms Pinball for the Mac! On December 2, 2013 / Amazon games, Mac Platform Games, Steam Games / Comments Off on Worms Pinball for the Mac! Welcome to the “Worms Pinball” for Mac game page. This page contains information + tools how to port Worms Pinball in a few simple steps (that even a noob can understand) so you can play it on your Mac using Crossover. 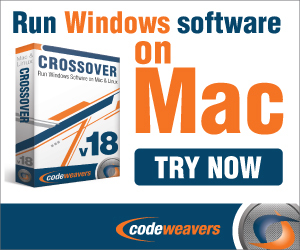 Crossover makes it possible to play Windows on your Mac with just a few clicks! So if you haven’t Crossover yet, then sign up here and buy the program or if you want to test it first, for the 14 days trial. Or use the Porting Kit alternative. Katakis seems to be right…it is becoming a Worms week after all! So here is the next one! Worms Pinball runs great as far I could see, when I played a couple of levels. I tested the Steam version of Worms Pinball only which can be purchased on Gamersgate (tested that version). After purchase, use the steamkey you get to activate in the windows Steam in the wrapper. Then its a matter of letting steam downloading the game and then play! Have fun! Worms Reloaded added to the Paulthetall.com catalogue! “Revenge!”, Worms is back again and this time as well for Mac! Worms Reloaded Game of the Year Edition is released for the Mac by Team 17 and availble on Amazon . After puchase use the serial to activate the game on your Mac Steam and play this great game! Checkout the trailer below for the gameplay! Oh by the way, the game is on amazon 75% off as well!!! So take that change as I did! Team17’s award-winning turn-based strategy title Worms Reloaded returns in a new ‘Game of the Year Edition’. With a popularity that spans generations, and a 2D gameplay style that is both classic and fresh in equal measures, Worms Reloaded sports over 60 single-player missions, full team and game style customization, compelling multi-player action, landscape editing tools including the ability to import images, HD visuals and many of the best weapons from Worms series past and present. Included is the feature-packed standard version of the game and all of the great add-on DLC content! See why Worms Reloaded was the proud winner of the “Best European Strategy Game” at The European Games Award 2011!